Meat tongs. Allows you to handle and hold meat when putting it through a slicer. Often used in Italy. 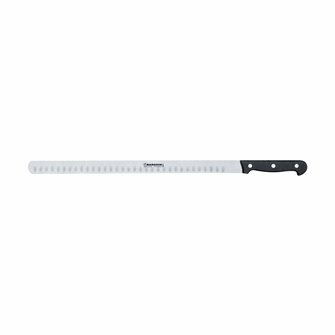 Ham knife with an indented blade - 28 cm - for slicing ham or salmon. Ham knife with an indented blade - 33 cm - for slicing ham or salmon. Reverse back professional boning knife - 13 cm. Reverse back professional boning knife - 15 cm. 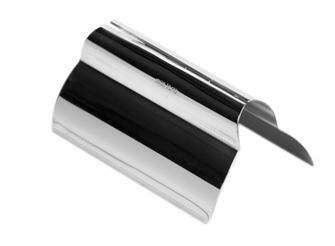 A knife for easily removing fish fillets.